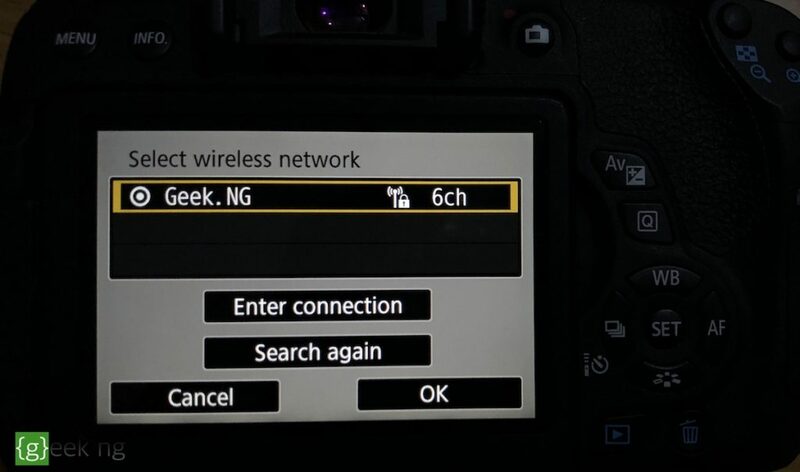 When I picked up Canon EOS Rebel T6i last year, one of the features I put into consideration was WiFi transfer. 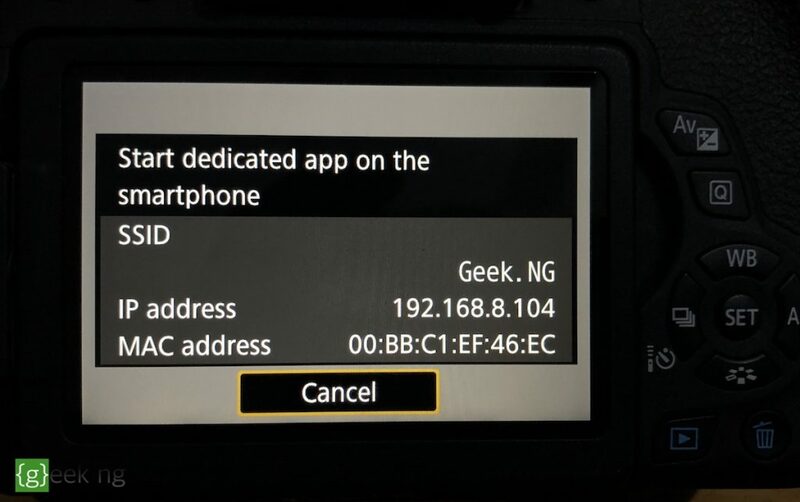 Unfortunately, I realized too late that I could only transfer images and videos to my smartphone using the Canon Connect app, WiFi transfer to the computer is not enabled. There’s no option to transfer images to your computer using WIFi in the camera settings, and going through the official forum, I couldn’t find anything helpful. EOS Utility only allows you to transfer over USB and this isn’t always convenient; there are times when you’re not with the cable. There’s a workaround though. While this isn’t the perfect solution, it’s better than having nothing at all. 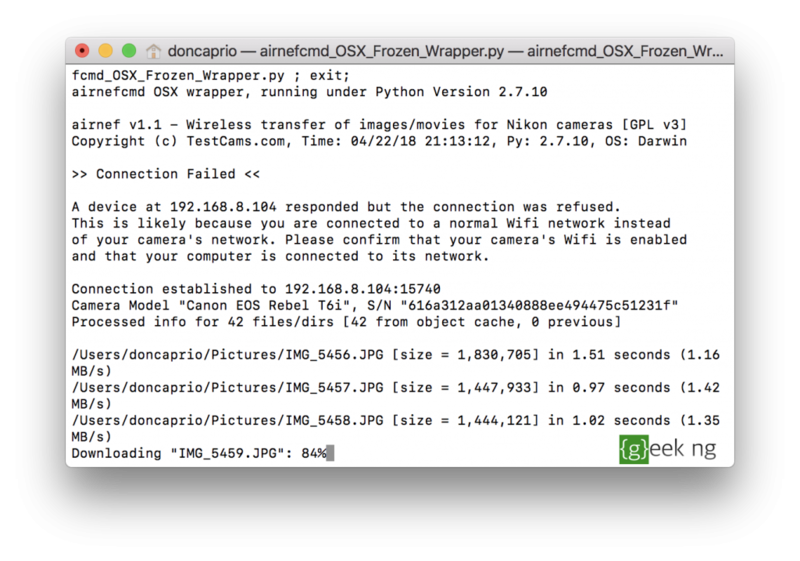 Airnef is a third-party app that allows you to transfer images over WiFi to your computer from your Nikon, Canon or Sony camera. 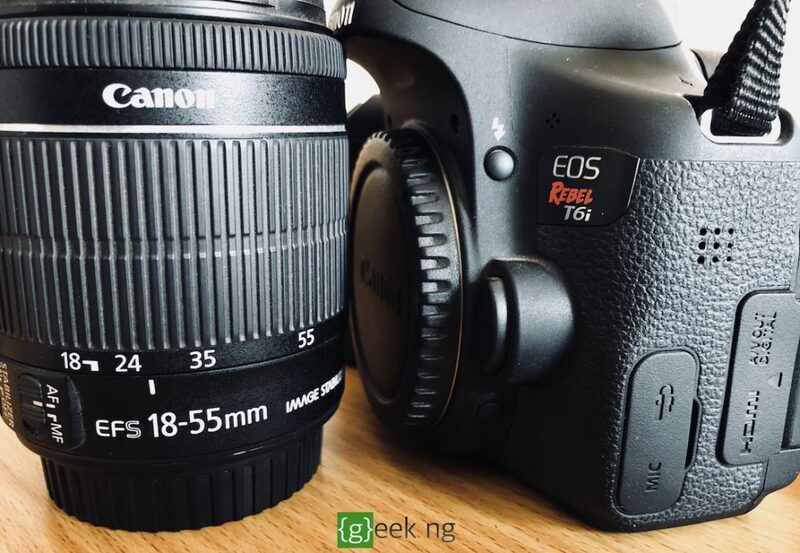 Unlike the official EOS Utility app, it’s not so straightforward and I ran into few issues before getting it to work with my Canon EOS Rebel T6i. 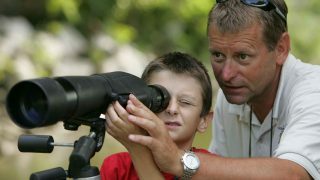 In this article, I’m going to share the configuration that worked for me. 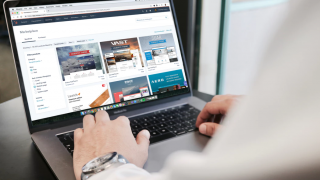 First, download and install Airnef from the official website. There’s are different versions for Windows, macOS, and Linux. 1. Launch Airnef on your computer and keep it running. Don’t do anything yet. 2. 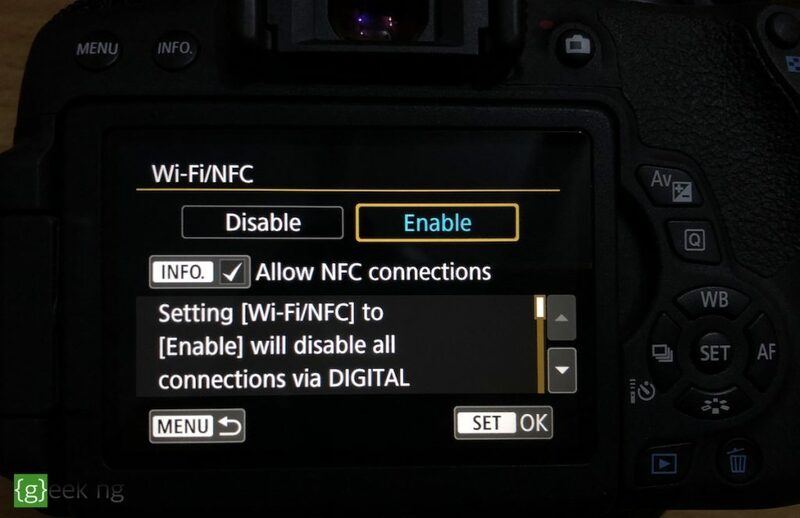 On your camera, go to Menu and enable Wi-Fi/NFC. 3. 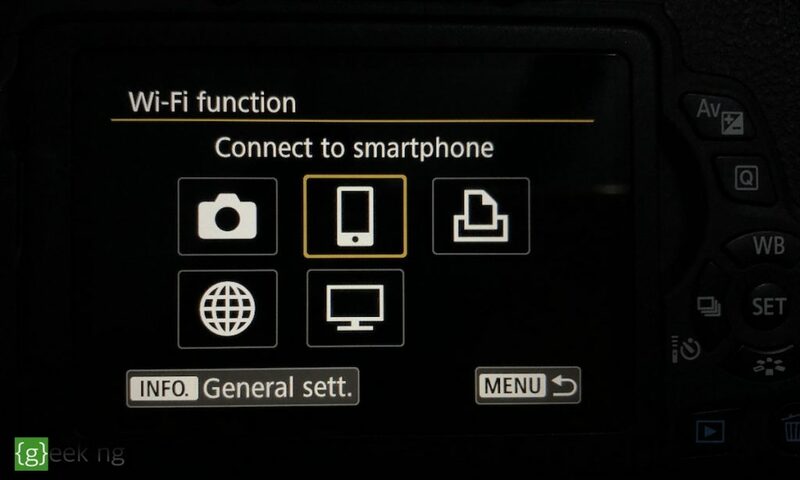 Go to Wi-Fi function and select Connect to smartphone. 4. Tap Choose set. to select a WiFi setting or configure a new one. 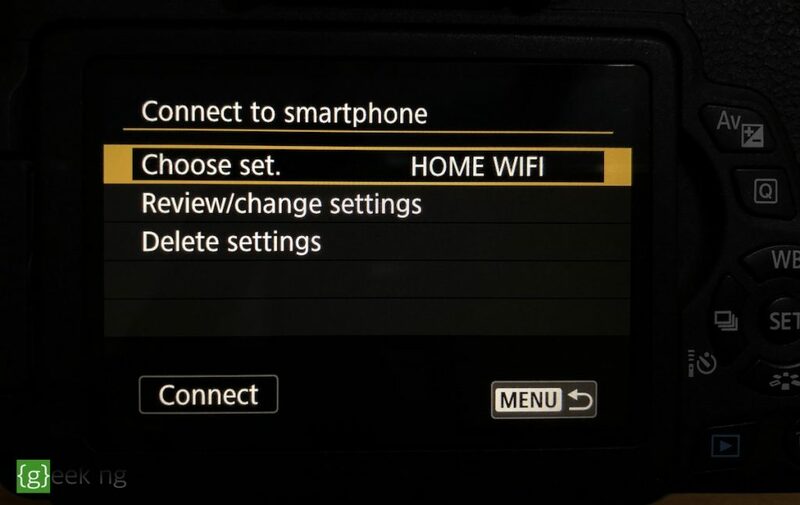 5.Choose a new setting (one not configured). 6. 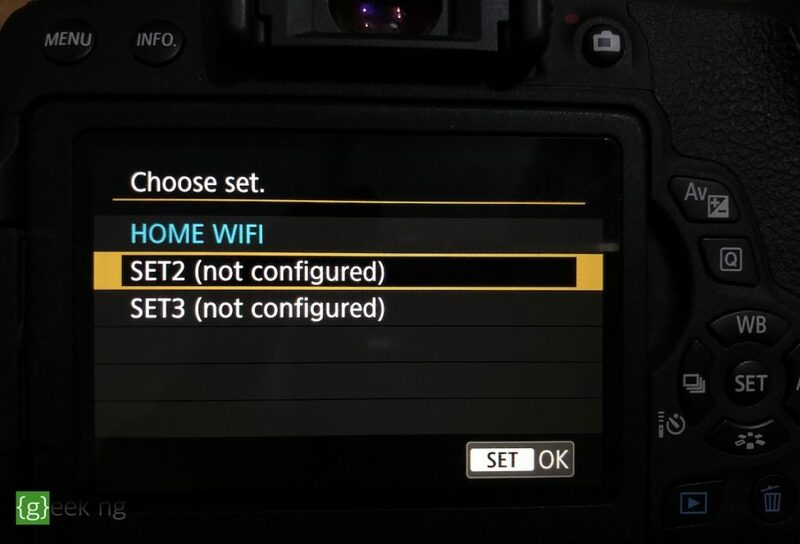 Select Infrastructure mode if your computer is connected to a WiFi network and you can connect your camera to this same WiFi network. 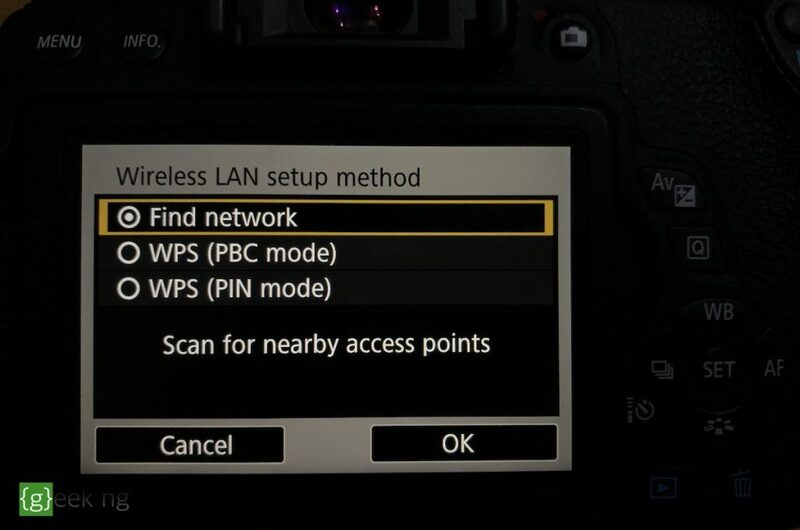 If your computer is on a LAN or your camera cannot be connected to the same WiFi network with your computer, you should use the Camera access point mode which lets you connect directly with the WiFi network created by the camera. 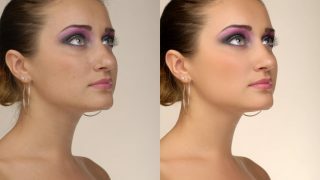 This is the method explained in the video above. Use whichever is convenient for you. In this tutorial, we’re going for Infrastructure mode. 7. Select Find network and hit OK.
8. Tap the Wi-Fi network your computer is connected and hit OK.
9. 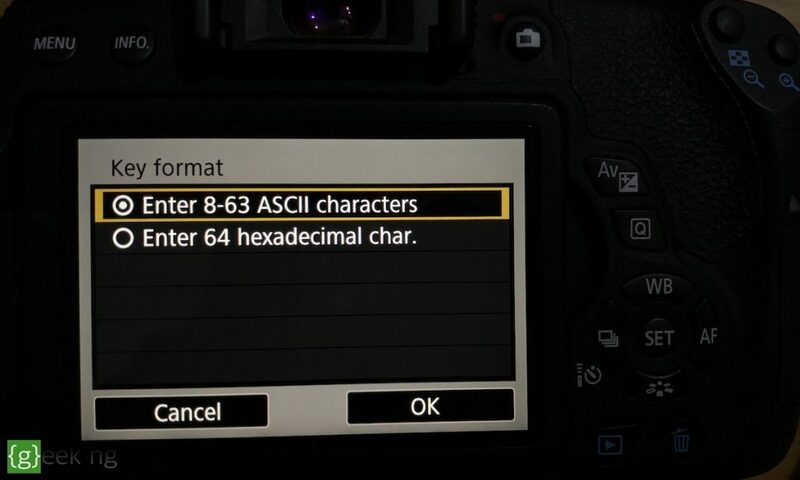 Select the key format. 10. Enter your WiFi password and tap OK to proceed. 11. For the IP address, leave the setting at Auto. Choose Manual only if you know exactly what you’re doing, else it might not work. 12. Note the IP address displayed on the screen. This is what you need to make Airnef work. 13. Go back to Airnef on your computer and key the IP address in the right space. Next, click Select on Computer. 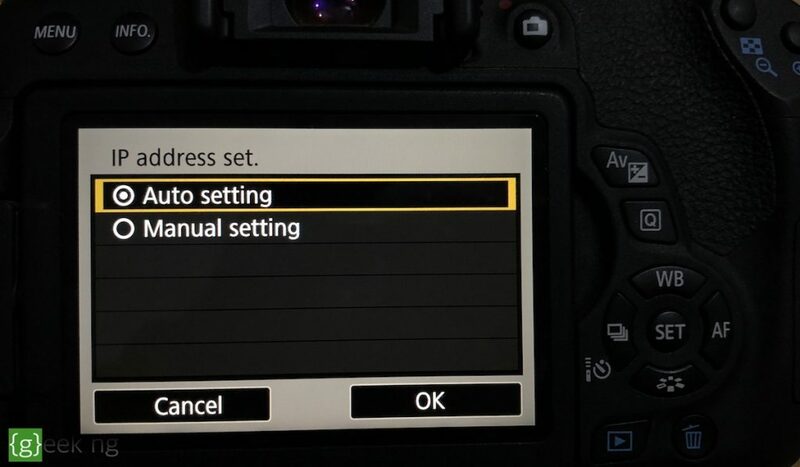 The Select in Camera option doesn’t work with Canon cameras. 14. The next screen lets you select what to import. 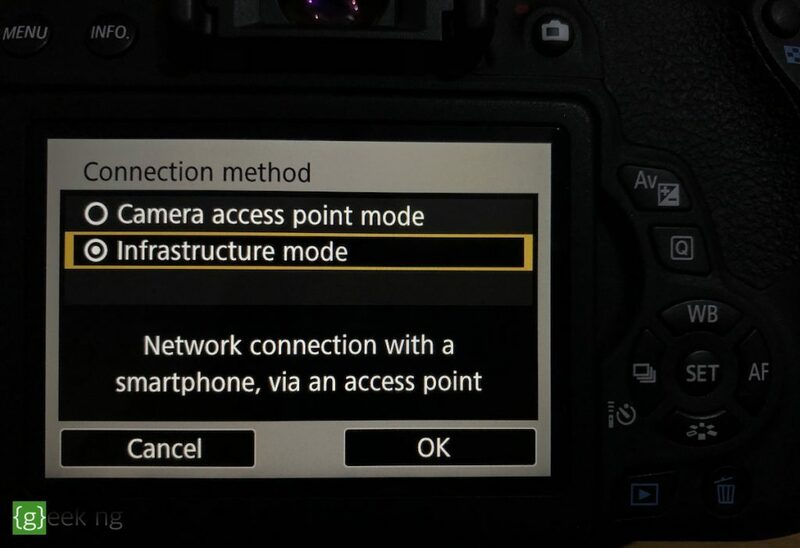 Leaving it at default will import everything on your camera, and I’m pretty sure you don’t want to do that. Filter what files to import using criteria like date and file type. When you’re done with the import configuration, click Start Download. 15. Now, this is where it gets tricky. The moment you see a message like Connection established to 192.168.***. 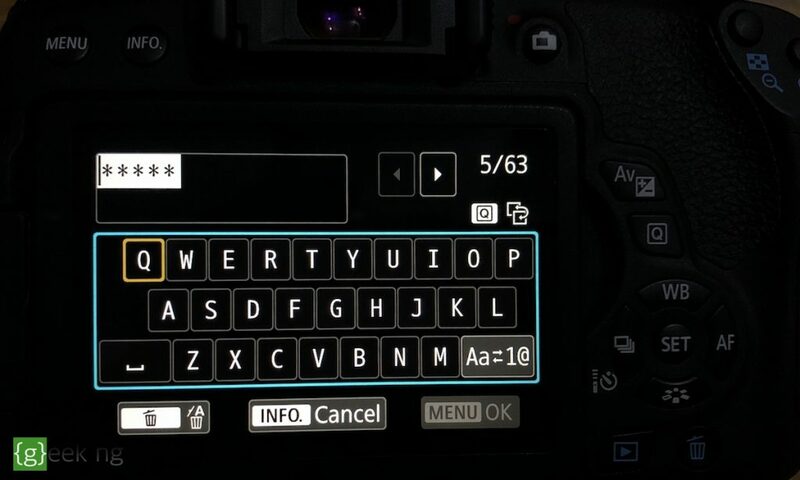 ***:15740 displayed on the Airnef window, immediately tap OK on your camera. The download should start immediately and you should be able to view the images in your Pictures folder if you’re not using a custom target folder. 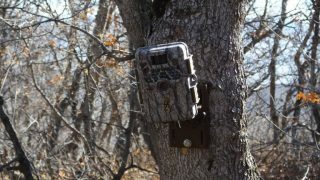 Camera is accepting connections but failing to negotiate a session. 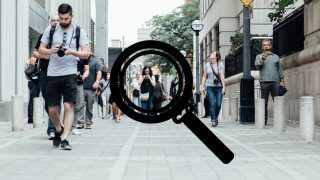 You may need to turn camera’s WiFi off and of or cycle the camera’s power to recover. You can leave airnefcmd running while doing this. It simply means you missed a crucial part. 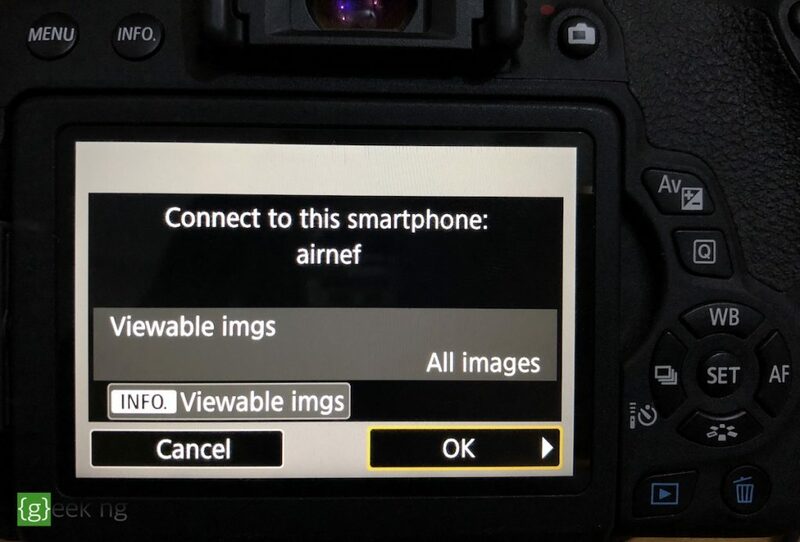 The moment Airnef notifies you that connection has been established to your camera, you are expected to tap OK on your camera’s LCD screen. If you fail to do this on time, this error will definitely appear. This was the only issue I faced.